My newest book, Convenient Amish Courtship, brings two friends back together. This story was so much fun to write! Mari captured my heart, and Bethany’s, too. From the first time she gazed into two-year-old Mari’s eyes, every decision she made had the little girl’s well-being in mind. Of course, Andrew was part of the equation, too. As childhood friends, these two knew and understood each other better than most people. Bethany was heart-broken when Andrew’s family had moved to far-off Iowa four years earlier, and when her own mother passed away soon after, she delved into the role of substitute mother for her younger brothers. Then Andrew received a letter from a mutual friend with the news that Bethany was getting married. He resolved to forget about her and went on with his life, but is it any surprise that Andrew chose a wife for himself that reminded him of his old friend? Had Bethany really married someone else? She couldn’t, because there was only one man who owned her heart – and he always will. So, when Andrew suggests a convenient arrangement, Bethany agrees. When you add in a mysterious stranger and an interfering mother-in-law, the story is even more fun. I hope you enjoy Bethany and Andrew’s story! Thanks for stopping by Destination Amish, Jan! Fun news: Jan is giving away a copy of Convenient Amish Courtship to one lucky reader! To enter, leave a comment below. Easy peasy! Giveaway starts today, Tuesday, January 15th and ends Tuesday, January 22nd and is only open to US residents. One winner will be selected at random and announced on Wednesday, January 23rd in the comment section of this blog post. Good luck and don’t forget to share this giveaway with your friends! Jan Drexler’s ancestors were among the first Amish immigrants in the 1700s, and their experiences are the inspiration for her stories. 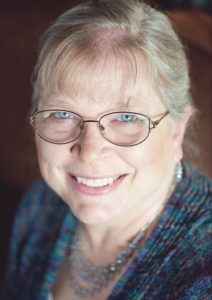 When she isn’t writing she spends much of her time satisfying her cross-stitch addiction or hiking and enjoying the Black Hills of South Dakota with her husband of more than thirty-six years. Her writing partner is her corgi, Thatcher, who makes life…interesting. She writes historical Amish fiction and is published by Revell and Love Inspired. I love reading books about Amish the stories don’t have anything bad in them and when you start reading them you can’t put them down. Love reading Jan Drexler’s book. Thank you for a chance to be able to add this to my collection. Real life, story is real life happening every day. Would love to read it. Would love to win this book . Always on the lookout for new amish fiction books to read . This sounds like a must read. Would love to read it. Thanks for your most generous giveaway. Would love to win! I love Amish books! I enjoy ‘convenient’ marriage arrangments, esp if they turn in to happily ever after love stories. This sounds fun and intriguing! An adorable little girl, a widower and a childhood friend (or sweetheart). Great plotline. This sounds like a good book. Thank you for the chance to win. I would love to have this book and would share it with my friends. I would love to win this book, I haven’t won stuff in ages, and I have been out on a medical leave with no money coming in to purchase the books I want. Congratulations on your book Jan! I’ve never read Jan’s books & would love to win & try her books. I love reading about the Amish & Mennonites. Used to live near some near Miami. Now we visit Etheridge, TN a few times a year & they are old order Amish and so nice. Love going there. Thank you for the chance to win a copy. Will leave reviews if I like the book. The book sounds terrific. Congrats on your new book and I love to read about the Amish we live in eastern Iowa. Needless to say at the farmers markets there are many Amish and they are so nice and the kids help you and they are so polite plus doing crafts while waiting for customers. So the more I learn about the Amish and also love to read the fun s tories ! Thank you for the chance for me to read and review your book. I want to thank you for giving away a print i am disabled with a nerve disease and my fingers are crippled and so many giveaways now are ebooks which i can’t enter so thank you so much! So excited about this new book! I have enjoyed every book I have ever read of Jan’s. Thanks for the chance to win a copy! Thank you for stopping by, everyone! It’s so much fun to read your comments. 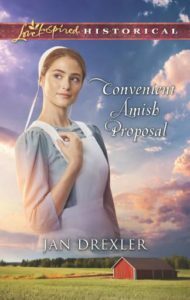 🙂 I hope you all get a chance to read Convenient Amish Proposal! I enjoy Jan’s books! Count me in. I am sure this is going to be a wonderful story. A must read to add. looks like a great book. Thanks for a chance to win a copy. I would love to read this book. I have read a couple of books by this author a long time ago. I always remember her name. Thank you for the opportunity of this giveaway. Love the Love Inspired book. Love Amish book! Love this author! “Convenient Amish Courtship” sounds like a wonderful book and one that I would love the opportunity to read. Definitely going to my TBR list. Convenient Amish Courtship sounds wonderful. I Love reading Amish stories. Have a good week.Thank you for the opportunity to win.I enjoy reading all of your books. Intriguing read so far. Can’t wait to read the rest of the story! I love reading Jan’s books. Enjoyed reading this post. Thanks for sharing. I love to read any Amish book I can find and then I share them with my friend. I would love to win this book. Thank you for this giveaway. I enjoy reading about the Amish. I would love to win! I love Amish stories! I love reading Amish books exspecially Amish romance. I love how the Amish families are so close and the community take care of there own. I would love to win these giveaway but whoever does will be very lucky. God Bless You! Sounds really good. Looking forward to reading it. Thank you for the chance. Would love to win your book, I read a lot of Amish books, thanks for a chances. Oh, this sounds like it’ll be a fun read with lots of twists & turns! Thanks for sharing! The weekends here in Maine have been wintry and I would love to have this to read . Sitting by wood stove in rocker with a cup of hot cocoa. I would like to read and add this Amish story to my collection of Amish Fiction. They are my favorite books! Love the entertainment and slow-down I get from your great novels! Thank you! I volunteer in the church library and have for 40 years. We have Amish books, both fiction and non-fiction. Our readers love them and I do too. I love reading about the Amish. Thank you for the chance to win! I love your books and the cover is great. Love Jan’s books. Thanks for the chance to win. Looking so forward to reading this book. Thank you for offering the giveaway. I have not read any books by Jan Drexler. I look forward to becoming a fan as I love Amish novels. Thank you for a great contest. I would love reading about this couple. Amish fiction is my favorite genre! Thank you so much for giving me a chance to win this new book. Amish books are my very favorite books to read. They are so uplifting for me to read. I would enjoy reading your book. Thank you for the chance to win this book. I very much enjoy reading Amish fiction. Thanks for the opportunity to win this book. I will certainly enjoy reading. What a great giveaway! I cannot wait to read your book! It sounds great! Sounds like a wonderful book. I would love to win it. Thanks for the chance. would love to win your book Jan Congratulations what a beautiful cover! Would love to win. I am starting to read more and more now days. Thank you for a chance of reading your book. I really enjoy Amish fiction and would love to read this book. Amish fiction is my favorite type of books to read! Thanks for the chance to win! Would enjoy this for sure! I sure enjoy reading about the Amish way of life but as of yet have not read any of your books. Thanks. 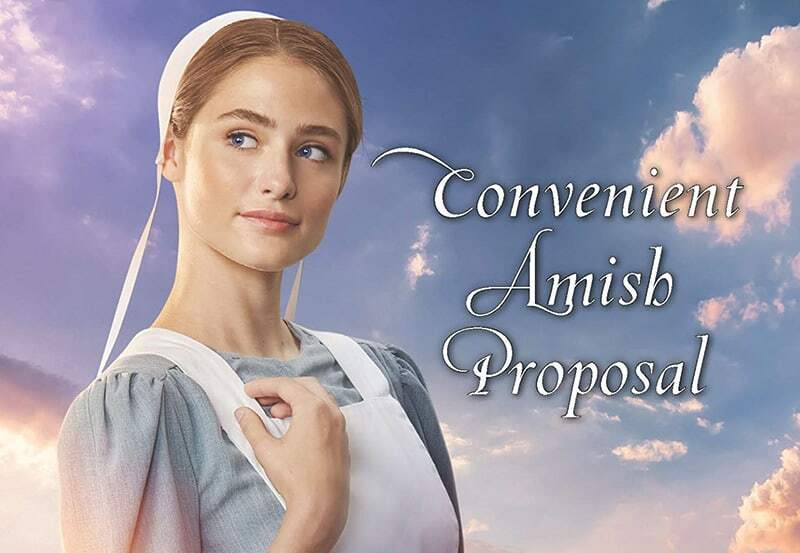 The plot is intriguing; I’m looking forward to reading Convenient Amish Proposal! thank you for the chance to win a new book and for getting to know a new author to me. would love to win your book Jan Thank u so much for the chance! Love all your books! I order them for our library! The winner of a copy of Convenient Amish Courtship is Dorothy Porter. Congratulations! Please watch your email for details on how to claim your prize. Thanks for entering, everyone! Love Jan Drexler’s books! Always makes me feel like I’m right there with all her characters!